Harriers parkrun take over – Saturday 3rd March 2018 | Rochdale Harriers & A.C.
Every so often we like to give back a little. Actually, our members give back all the time, but it is nice to do it as a club. 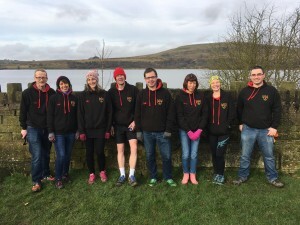 The Trafford 10k, first race in the Rochdale Harriers Road Race Championships takes place on Sunday 4th March, so rest your legs on Saturday and join your club mates volunteering at watergrove parkrun. Matt Jones is Race Director on the day, so please let him know if you are available.